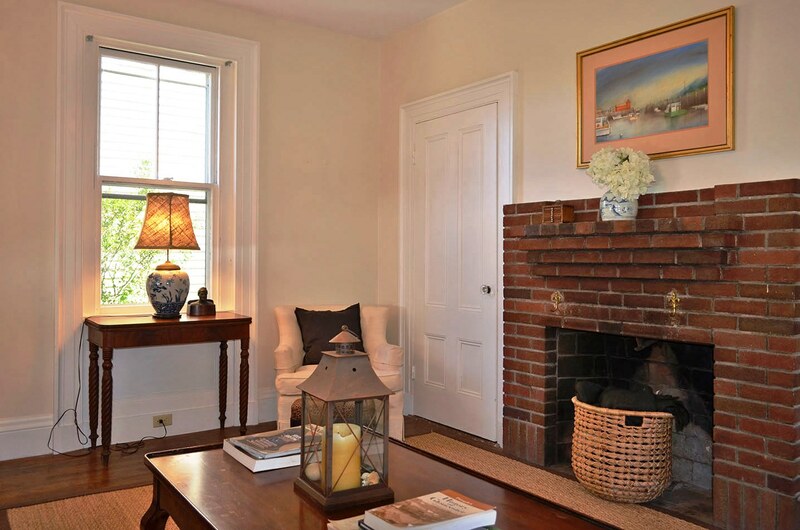 Enjoy the comforts of modern day living while you step back in time in this updated colonial-era vacation rental home. From the moment you turn the brass door knob, which is original to the house, you will feel steeped in history. 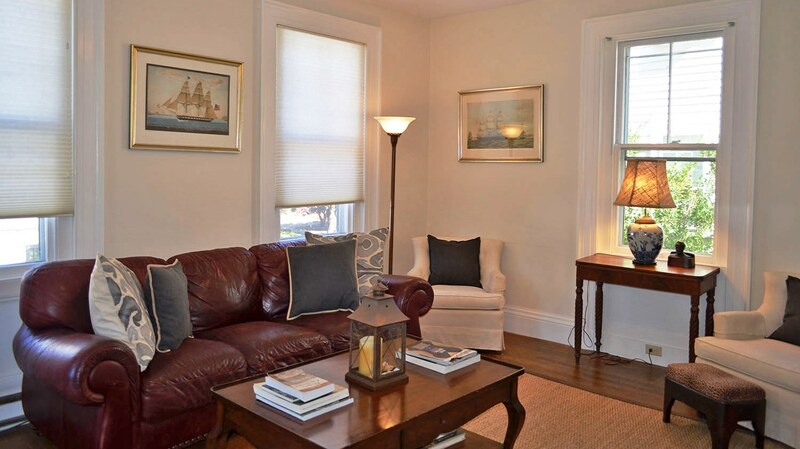 Filled with light from the large windows throughout, and with 4 bedrooms and 1 full bath, the house comfortably sleeps 7. 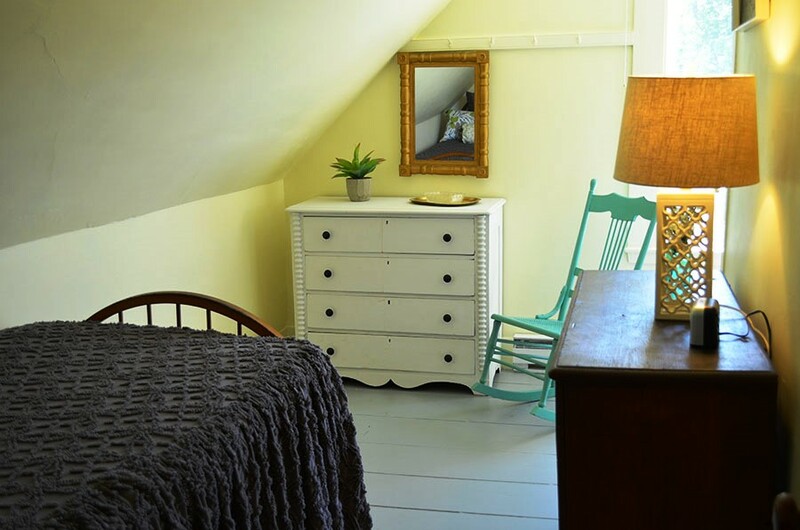 The Robert House is steps from everything in the Village of Rockport including the picturesque working harbor and one of America’s most favored art subjects, the red fishing shack of Motif #1. 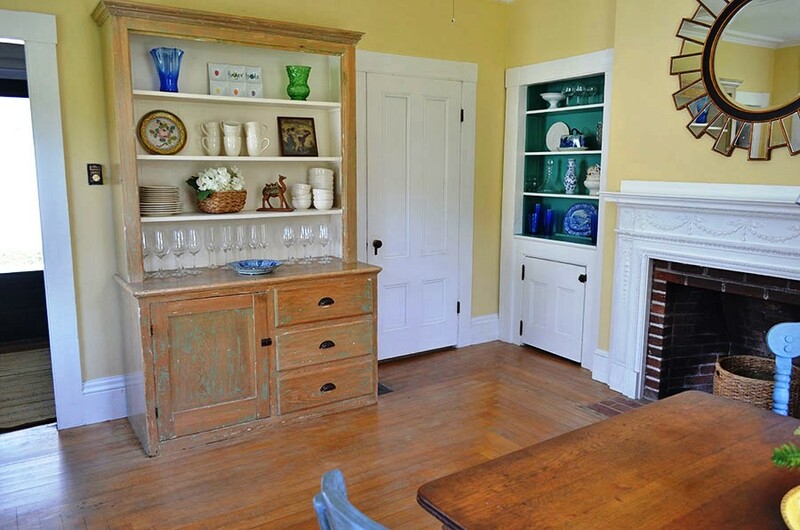 While in the spacious dining room (with seating for 8), marvel at the original fireplace (decorative only) and mantel, imagining the stories that could be told if only they could talk! As you enter into the eat-in kitchen, you are immediately transported back into the 21st century with the beautiful, bright updated design complete with all the modern appliances. 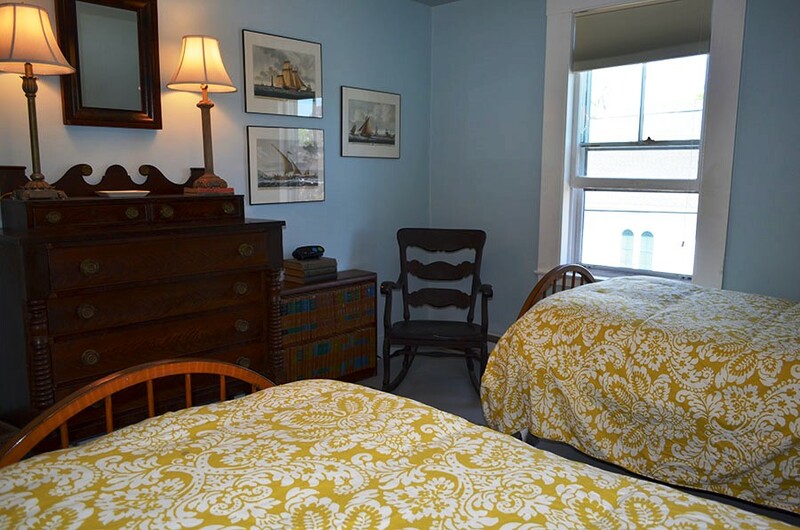 The Robert House is well-situated to enjoy all that Cape Ann has to offer. Enjoy the pristine beaches by taking a short walk to Old Garden Beach, Front Beach, or Back Beach. Or revel in the charm of Rockport by exploring the local shops, art galleries and restaurants on Bear Skin Neck and the surrounding historic lanes. If you need a rest and prefer a day of relaxing at the house, the large, lush backyard is a feature that is not often found with this convenient in-town location. There is off-street parking for two cars next to the house, and also plenty of metered parking nearby. 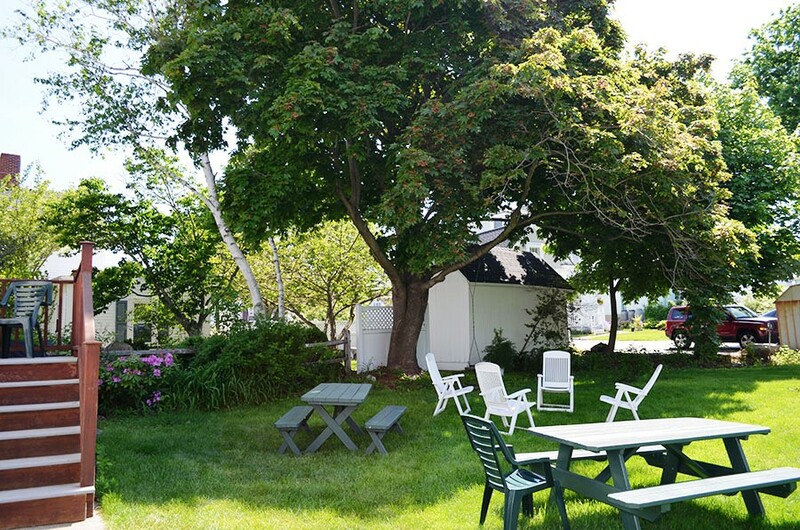 This is the perfect Rockport getaway for sun and fun! 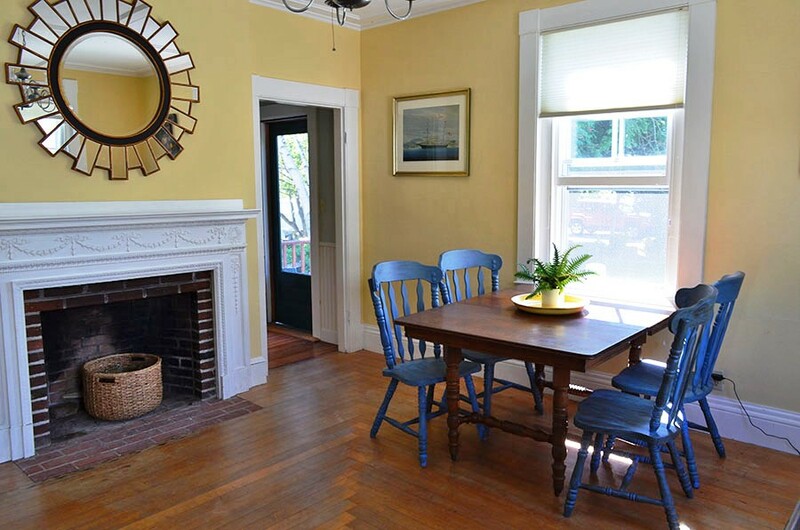 Please note: Adding to the charm of this traditional colonial home is its original staircase. These stairs are narrow and should be noted by those with small children or mobility restrictions. What does my rented vacation home provide? 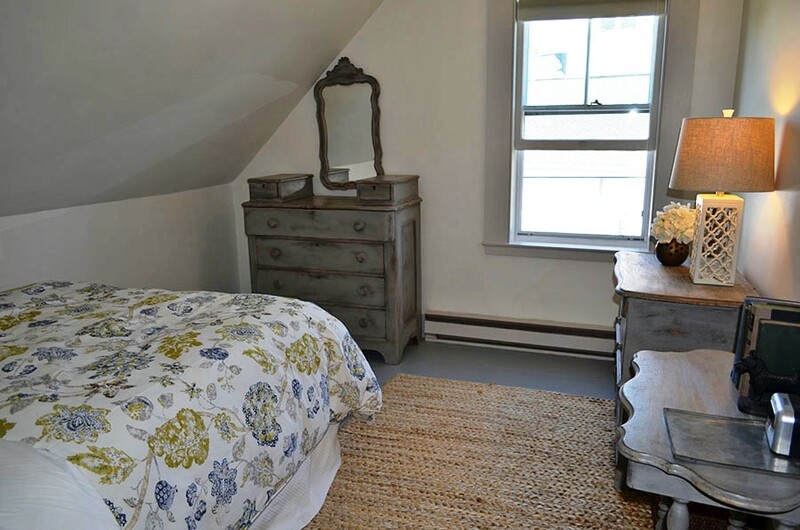 Since all Atlantic Vacation Homes rental properties are residential homes, and not hotel rooms, they are all fully furnished and include a living room, kitchen, and bedrooms and bathrooms as described on each property detail page. 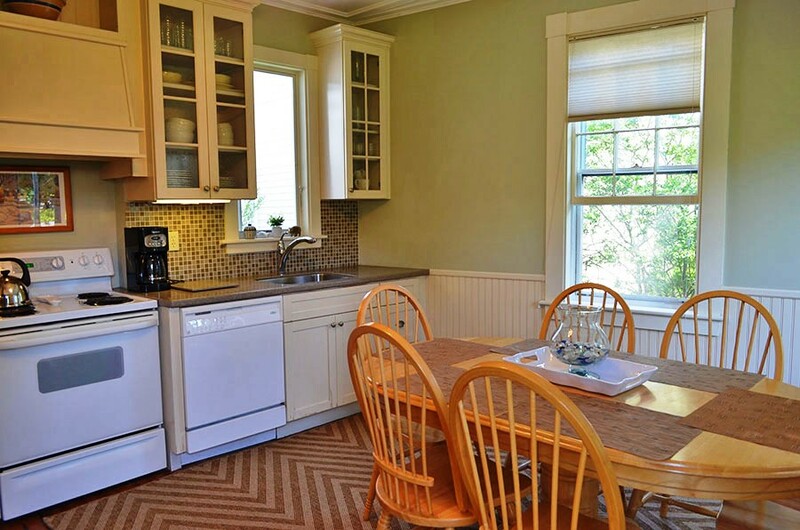 The kitchen includes cooking utensils, pots & pans, dishcloths, potholders, flatware, dishware, glassware and a corkscrew. 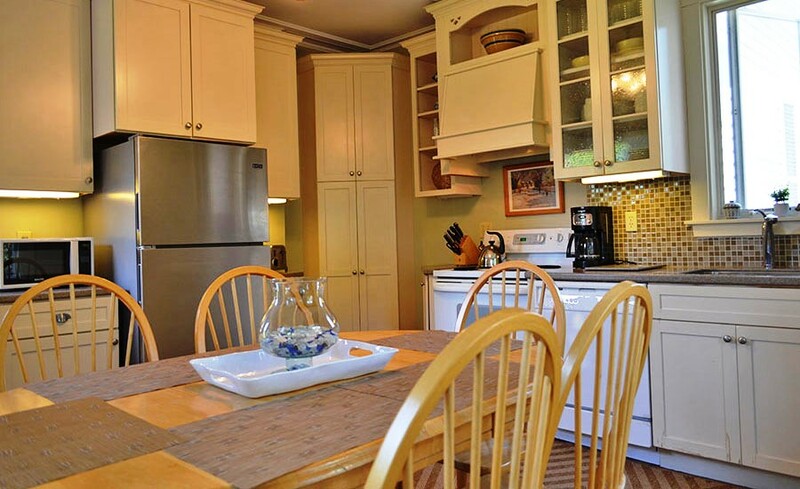 Standard appliances include a refrigerator, microwave, stove, toaster, and coffee maker. Some properties are equipped with additional items; please refer to the full amenity list for your specific property. If you require specialty items, such as kitchen scales or food processors, it is best to bring your own. 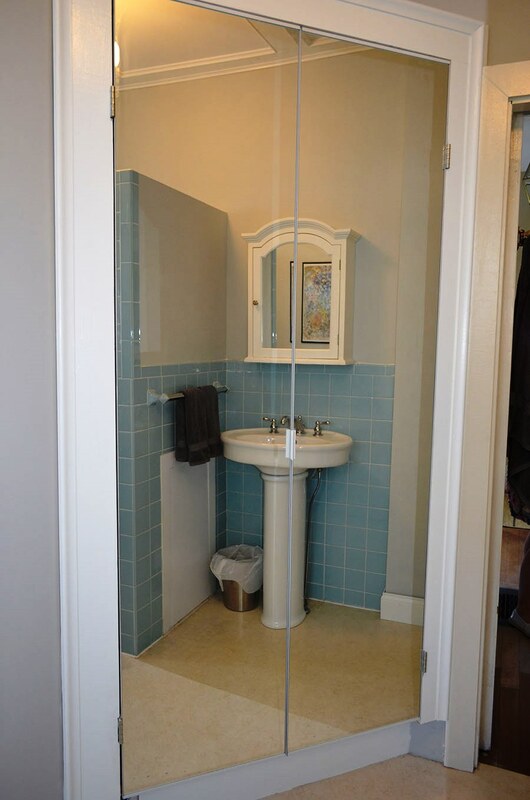 Bed linens and bath linens (bath towels, hand towels and face cloths) are provided in accordance with the advertised occupancy of the property. 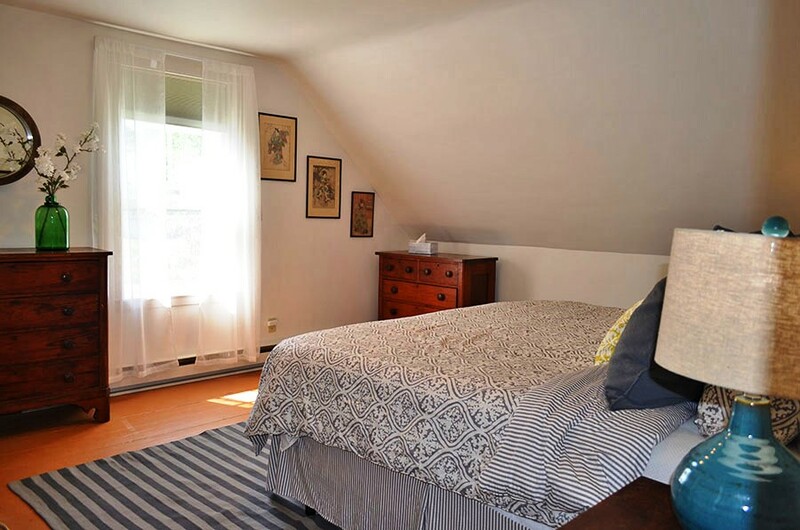 Beds will be made with linens, pillows, blankets, and bedspreads prior to your arrival, with the exception of trundles, top bunks, futons, and sleep sofas. The property includes basic housekeeping supplies, such as brooms and dustpans. Many (but not all) properties have a landline for local calls. Please refer to the full amenity list for your specific property. Air conditioning, beach towels, hot tubs, TVs, DVD players, porch furniture, grills, docks, recreational games and equipment, and other amenities are furnished as a courtesy by the homeowner and are not guaranteed. Please refer to the full amenity list for your specific property for details. In addition, the complimentary items below are provided as a convenient starter supply for when you first arrive. Additional items beyond the starter supply are the responsibility of the guest. All six of us loved this house and its perfect location, walking distance from stores and restaurants. 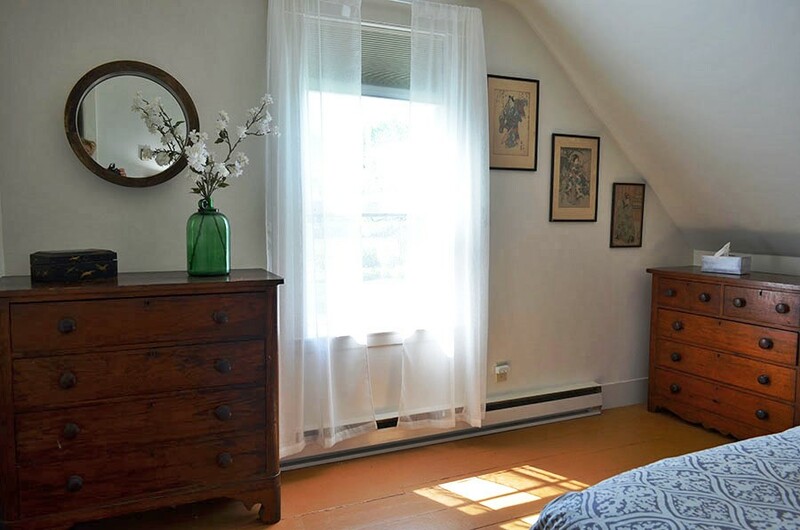 Lots of charm while still touting modern amenities like window unit ACs in the bedrooms. An older house, the stairs are quite steep and would be a problem for small children or people with mobility issues. The one bathroom was a challenge for 6 women, but all agreed it was well worth it for location and style. Thank you for taking the time to share your experience with us! 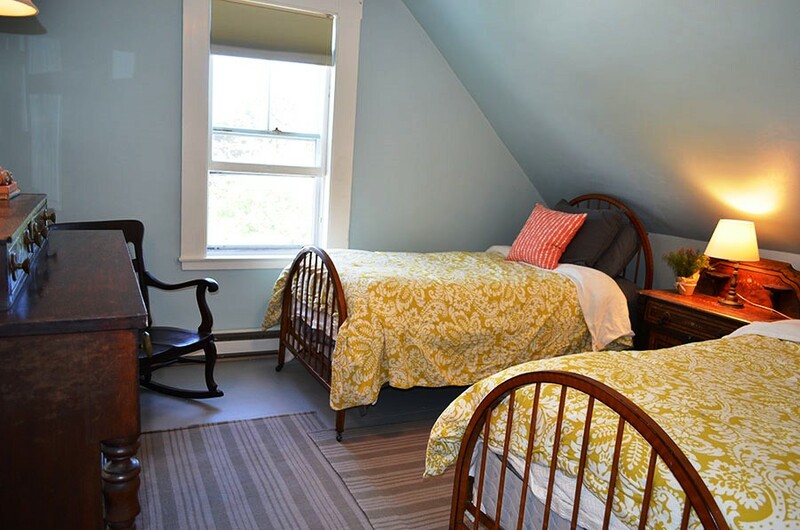 We are happy to hear that everyone enjoyed their stay at The Robert House with all of its charm, style, and location! We appreciate your feedback and hope to see you for your next summer getaway. My family and I visited Rockport for my brother's wedding And couldn't ask for a better house. This home was absolutley perfect. Just the right amount of space and of course the location was amazing. 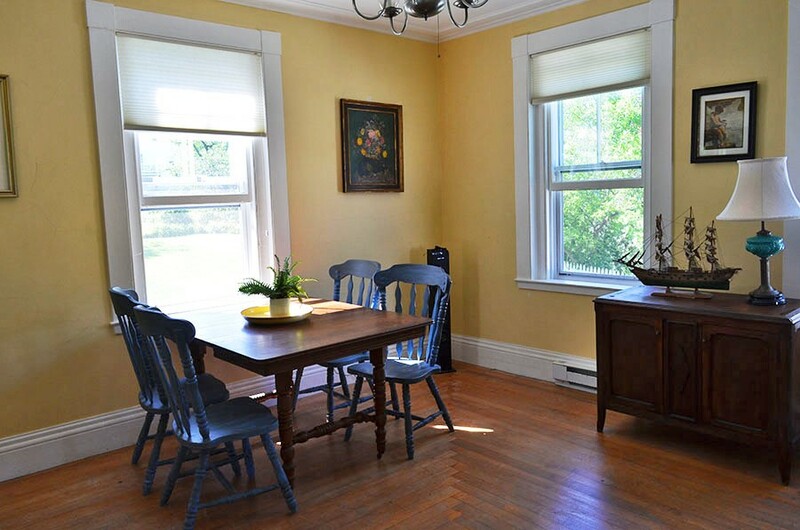 The house has so much charm and makes you wonder what those walls would say if they could talk. I will say the stairs leading upstairs are very steep so if you have children please take caution.